NBC Sports has launched a version of their Premier League Pass streaming service for pubs, bars, restaurants and other commercial properties in the United States for $199/season. 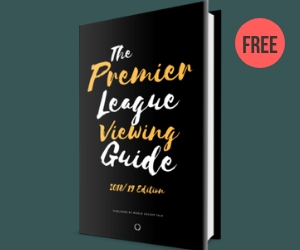 This season’s Premier League Pass guarantees 150 live Premier League matches (with at least four matches per Premier League club) and a suite of shoulder programming. Both the commercial establishment-version and public-version of the passes are powered by Playmaker Media, and will stream coverage live and on-demand via desktop, mobile, tablets, and connected TV devices. Commercial establishments can register their interest in the NBC Sports Gold Premier League Pass via the sign-up page. The $199/season price is for one stream to be shown on one screen. Streaming across multiple screens requires multiple accounts. Launched in time for the start of the 2018/19 Premier League season, NBC Sports Gold will present four live matches this weekend: Bournemouth v. Cardiff City; Fulham vs. Crystal Palace and Watford vs. Brighton & Hove Albion this Saturday, August 11, at 10 a.m. ET; and Southampton vs. Burnley this Sunday, August 12, at 8:30 a.m. ET. For the public, this season’s Premier League Pass will include 150 exclusive games to NBC Sports Gold. Plus, NBC Sports has today announced the addition of two new additions: Gold Premier League Mosaic and Goal Rush. NBC Sports Gold’s Premier League Pass is $49.99 per season for consumers. Sign up today at NBCSportsGold.com. Moving Goal Rush to Gold is a story in and of itself. Not much of a surprise, as so many used it to avoid paying for Gold. I can understand NBC wanting to squeeze more dollars out of NBC Sports Gold, but cannot understand why they haven’t partnered with DirecTV to offer a separate subscription/OnDemand package using the extra channels that used to be free. Chris, do you think their reticence is down to DirecTV not wanting to play ball? It seems such a shame since the channel capacity is obviously available and I’m sure people would prefer to watch it on TV (or both). NBC wants to have an offering that’s the same to everyone across all TV providers, so I don’t think them offering DIRECTV something different is in their best interests. 4K broadcasts are different. Not every TV provider offers them. 1. Is it cheaper for NBC to stream than to broadcast on TV through cable and DirecTV on the “extra” channels? 2. Do they make more money streaming through Gold than they did using the extra channels.? Why not offer the extra channels at a higher price instead of jumping straight into streaming. A couple years ago NBC made a big push sponsoring the “Best PL bar in America” promotion. So this seems like an extra cruel move to now extort what could be thousands of dollars from establishments to have the ability to offer every match. One stream on one screen, are you serious?! So at minimum, a commercial establishment will need 5 separate subscriptions just to be able to show all matches in the 10am est window, and that’s just enough for one tv per game! This of course in addition to still having to subscribe to a cable provider in order to have access to the prime matches shown exclusively on NBC and NBCSN. 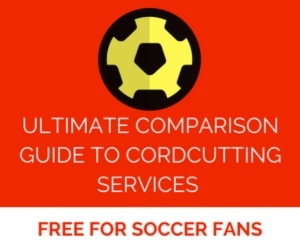 Awful for small businesses and awful for fans. Between this and Turners limited offerings on traditional TV for UEFA content it’s clear that the powers at the networks have given up on soccer being a mainstream success and are now committed to milking every dollar possible from what they have decided is a niche audience. This is depressing. Did anyone catch Rebecca Lowe saying on NBCSports that on Gold you could watch all three Gold matches on Saturday on the same screen? I couldn’t find it on my Roku app or on nbcsports.com/gold. Was anyone able to watch it that way? Thanks! It’s the Goal Rush feed on NBC Sports Gold. I no longer have NBC Sports Gold, so I couldn’t test it. But it should be available in the app as well as online (live). I was watching Goal Rush and it appeared to be the same format as it used before when it was on the main NBC Sports app (in this case, Huddersfield v Chelsea with cut-ins to other games). Maybe she meant that the coverage flew around, from what I saw, the screen wasn’t divided in 4 or anything like that. I believe the multi-match stream on Gold is called Mosaic. I loaded it briefly but didn’t stick with it as I was more interested in the Fulham game. This is long term a far better deal for bars/rest/pubs vs. DirecTV which costs $1k+ a month if they have 10 TV’s (the sat box fees are $200-400 a month 10+ TV’s)…. If they get Roku’s and OTT services they can do it for $3-4k a year + Roku’s vs. DirecTV $12k+ a year. Plenty of free streams on line lads. do not give anymore of your your hard earned money to those greedy nbc thieves.